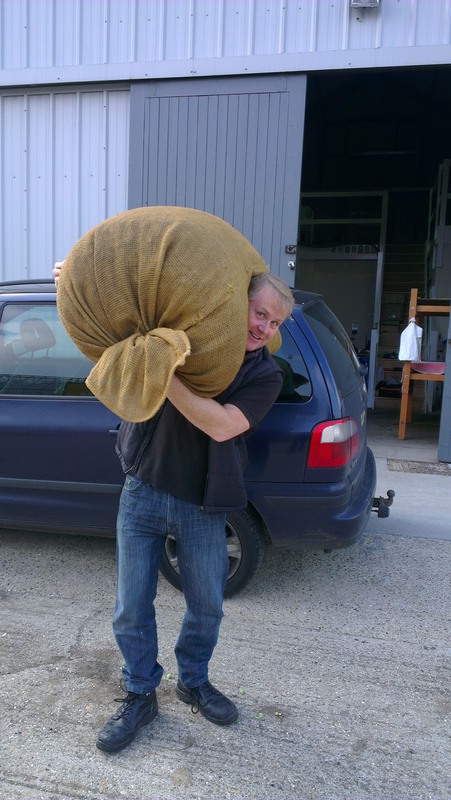 Kent Green Hop Beer – brewing well underway! Exciting beer news is pouring in from Kent’s green hop brewers. 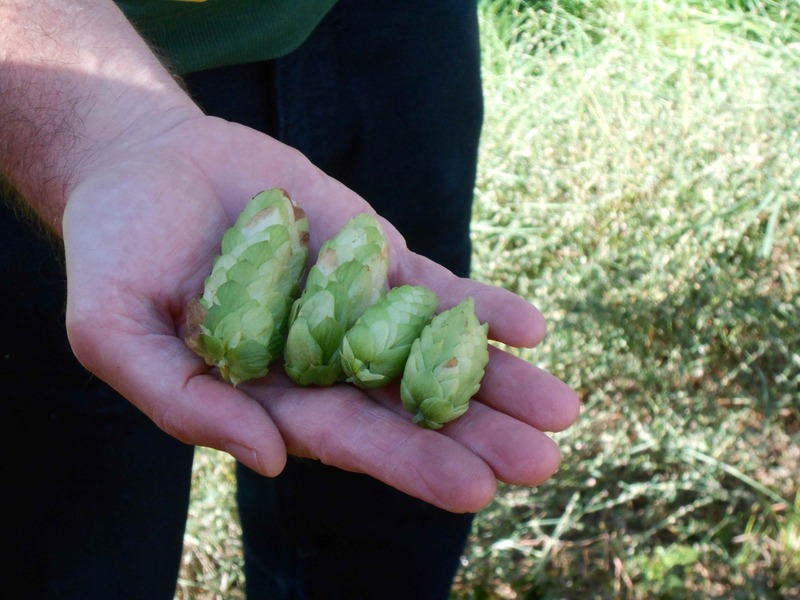 Many have already brewed their green hop beers and are looking ahead to brewing more, others are standing by waiting for hops to be ready – but the momentum is building. 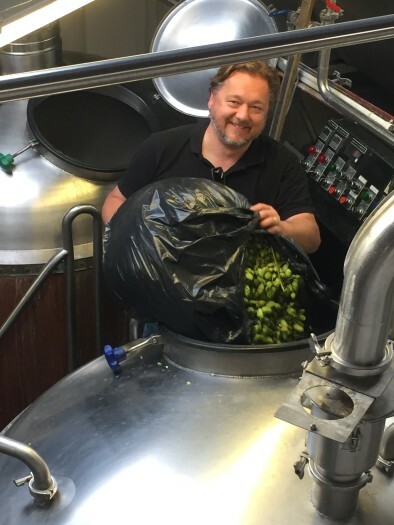 Here’s a round up of news of the green hop brews – a sneak preview ahead of the beer list being published – and some pictures of excited, happy brewers! their tried and trusted (for more than a decade!) Scotney Green Hop Harvest Ale (4%) – with fresh hops from the National Trust’s hop garden at Scotney Castle. It’s a mild tasting, mid gold best bitter, with a ‘wonderful sappy flavour’ from the undried green hops. Of course they’re being a bit modest as this year’s brew was made with the help of acclaimed beer writer Pete Brown – who was visiting to gather material for his forthcoming book, What Are You Drinking? Kent Brewery will be making their ‘hop bomb’ Green Giant (6%) once again, a favourite with fans of the modern craft beer style. Look out for a ‘meet the brewer’ interview with their Paul Herbert in the coming weeks. Tonbridge Brewery are also sticking to a winning formula with their Capel Pale (4.5%), green hopped with locally grown Pilgrim hops. 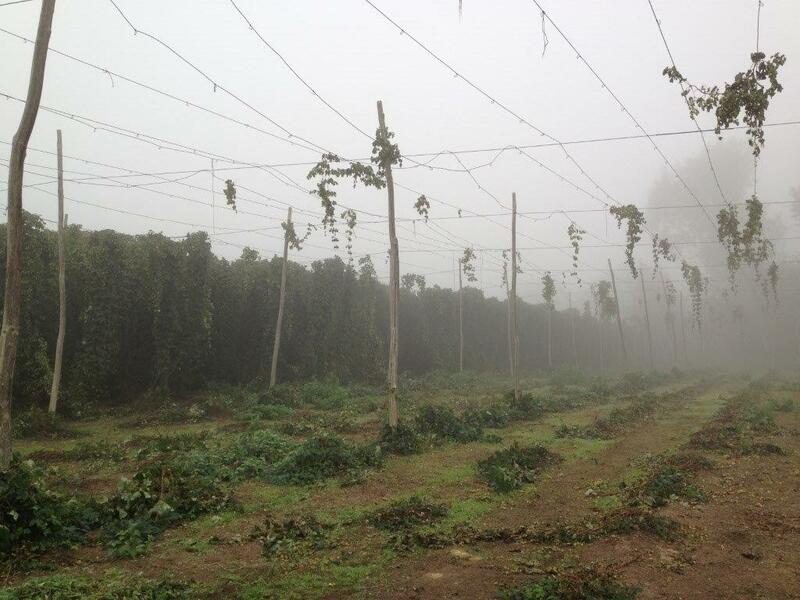 It was a misty morning when brewers from Tonbridge Brewery went to collect their green hops! Last year’s brew was certainly a tasty drop – rich, soft resiny hops offered up orangey notes giving way to a dry finish with a peppery tang – so be sure to look out for it this year! Musket Brewery are so devoted to green hop they re-arranged their schedules so they could brew twice as much as last year. Look out for their Flash in the Pan (4%) – which last year was a sunshine gold joy, enticing drinkers with a lemony aroma and rewarding them with peppery, citrus hops and a dry, but malty finish. 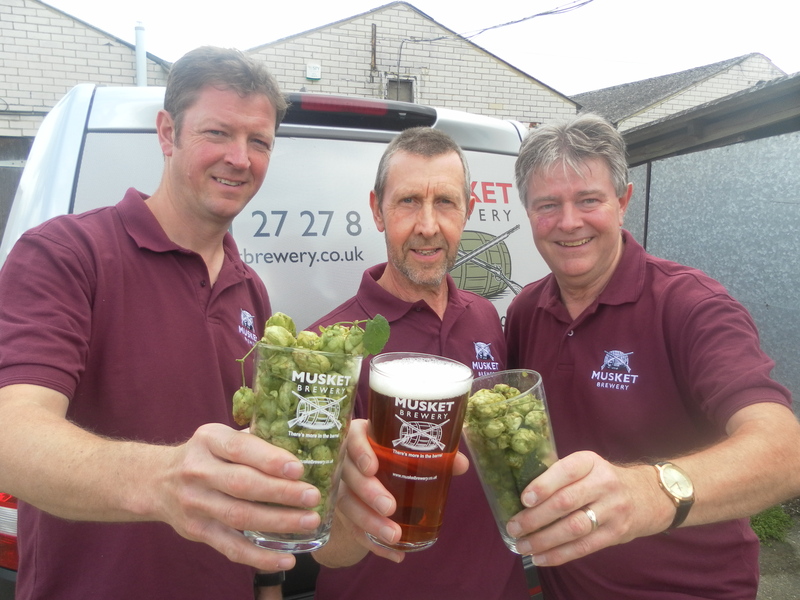 Musket Brewery brewers (L-R Mark Stroud, Nigel Deas and Tony Williams), toasting the start of their green hop brew day. Mad Cat Brewery are making two green hop beers for 2015, both with locally grown East Kent Goldings (which will be our first of Hop of the Week – look out for that soon! ), ringing the changes by use of some interesting malts. Green Hop Rye PA (4%) includes rye – as the name suggests and Oatrageous Green Hop Oat Pale Ale (3.9%) features Vienna malts and oatmeal. You’ll be able to ‘meet ‘ Mad Cat brewer Mike Meaney in the coming weeks. Don’t forget to sign up for updates (see box at top left) so you don’t miss out. Old Dairy Brewery will be bringing us Green Hop (4%) featuring Challenger hops… and we also hope to be ‘meeting’ their brewer Glenn Whatman before too long. A hop in the hand…. Bexley Brewery who are planning two pale ales each with a different hop, Gushmere Fuggles Pale (4%) and Hukins Bullion Pale (4%) – the beers are named for the hops used and the people who grew them…. and Attwell’s Brewery who are planning a golden ale called Attwell’s Green Hop, hopped either with East Kent Goldings or Northdown. We’ll bring you more news of the brews – and a full Kent Green Hop Beer list as soon as we can. In the meantime look out for our series of ‘meet the brewer’ features and ‘hop of the week’… all coming soon.